As the cooler months approach and the temperatures start to dip, pests may try to make your home theirs and build nests and invade your space. You may not even notice until you have an infestation problem. Ecotech provides pest control services for those in the Twin Cities, MN area. We are a professional, family-owned pest control business with a minimum of 50 years combined experience in the pest control business. We set ourselves apart by offering both all natural or traditional extermination methods, so you can determine what you are most comfortable with in your space. Both options are effective bug elimination techniques so you can rest assured that once you partner with our team, your bug problem will be solved! Our team is prepared to handle pest control with traditional agents or all- natural agents that will not harm the environment or the animals (or humans) in it. We stay away from synthetic poisons with the goal of using healthier alternatives that are equally effective and safe. We very much value our earth, the ecosystem, your children and pets and are dedicated to using safer extermination treatments. In addition to being a leading Plymouth exterminator with all types of pest control and prevention services available, our team is also part of Minnesota Wild Animal Management and can help if wild animals enter your home or are damaging your lawn. 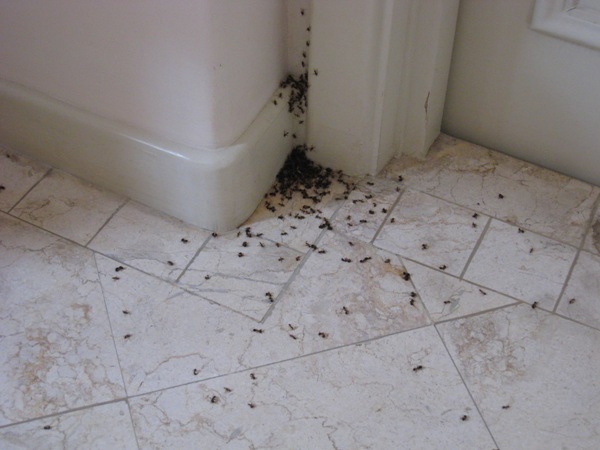 Our team can also repair most damage done by pests or animals and restore your home or property to it’s original state. Ecotech’s experienced technicians keep current with industry advancements, and is extremely familiar with local pest problems in the Plymouth and Twin Cities, MN area so that we can protect you and your home from any and all potential pest threats and can help prevent future problems. We will customize an insect plan for your unique situation and require no annual contracts, and stand behind all of our inspections and repairs with a four year warranty. Our team is professional and our prices affordable so you can be confident you are getting the highest quality service in the area. Give us a call at 1.763.785.1414 or 612.237.8282 to schedule an appointment or call our emergency line at 1.763.232.7296 if you need help outside of normal business hours.